International Adventures Unlimited has donated a 7 day hunt (including travel time) for 1 hunter. 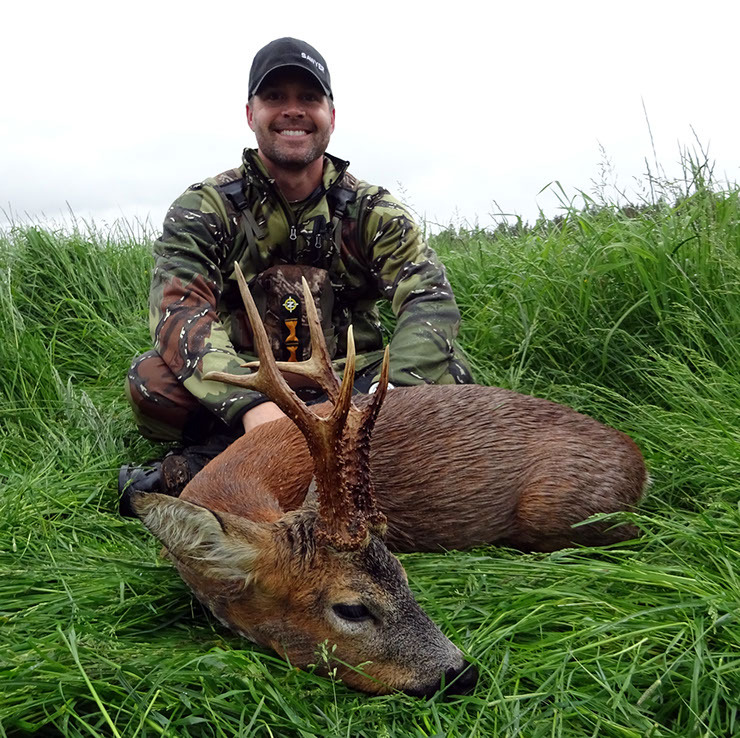 Trophy fees included are 2 Roe Deer to be hunted on some of most exclusive and prestigious estates in Scotland. The donation includes lodging at the luxurious Glen Lui Hotel, meals, guides, trophy fees for two Roe bucks. Because the number of bucks available each year depends on the number allowed in the quota, a second buck may be harvested on a neighboring estate. Non hunters can be added at a cost of $1950. Guided tours for hunters and non-hunters are all part of the packages as well. If interested, the successful bidder and guests may play a round of golf and or ride horses, as extras to this great package. These hunts can be taken in 2019 subject to availability, or a future year as agreed upon with the successful bidder. The package begins with the guests’ departure on day one, arrival in Scotland on day two, transfers to the hunting area on day three, hunting and other activities on days four, five and six, with the return flight home on day seven. Hunters may extend their stay in Europe at their own expense if they wish. Point of arrival and departure is Edinburgh Scotland. Rental of Game Keeper’s rifle is available and recommended. Gun permits are required to bring in your own rifle. International Adventures at a cost can provide shipping, receiving and clearing of your trophies in Denver, Co. within 60 days of the conclusion of our hunt.